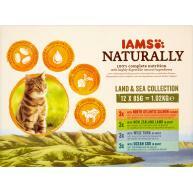 IAMS Delights Land & Sea Collection is a complete and balanced top-quality wet food for all adult cats. 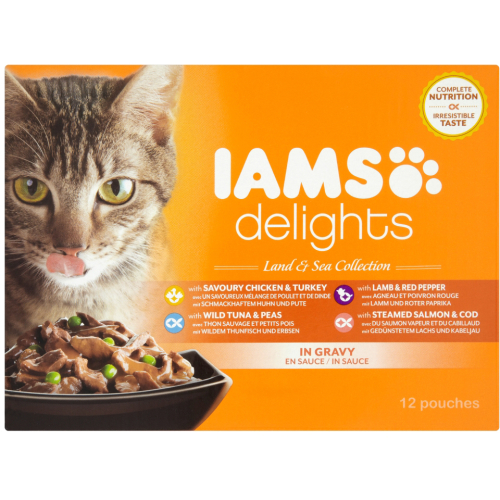 Containing all your cats’ favourite, ingredients with all of the vital nutrients needed to lead an energetic and happy life. 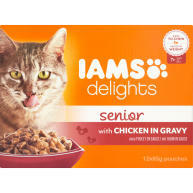 High in animal protein, it’s nutritious and palatable. 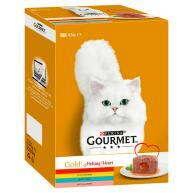 Specially developed to meet your cat’s biological requirements, these hearty pouches are easy for your cat to digest and also help to build up the immune system, there are no artificial flavours, colours or GMO ingredients. •	Savoury Chicken and Turkey in Gravy. •	Lamb & Red Pepper in Gravy. •	Wild Tuna & Peas in Gravy. •	Steamed Salmon & Cod. Meat and animal derivatives, fish and fish derivatives (8% tuna), vegetables (4% green peas, from dried peas), derivatives of vegetable origin, minerals. Protein: 9.2%, Fat Content: 4.8%, Crude Ash 1.4%, Crude Fibres 0.4%, Moisture: 79.3%. 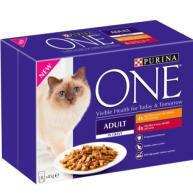 4kg Cat = 3 Pouches/day split into at least 2 meals.